So what part of the title do you want to hear first? Well, I’m just funnin’ you on the latter, but finding your golf game at 72? Well, that’s serious business and nothing to joke about. My golf game — if it ever existed — left me sometime around the time I was 17 and was never found again, until recently when recent long summer days promoted “practice, man, practice”. That’s the way you get to Carnegie Hall and also the way to get rid of a banana slice that has plagued me for all of my adult years until now. Actually, my athletic wife, Sue, has proved that you don’t need to practice in order to be perfect on the golf course. 25 years ago, she aced therings, a surprisingly difficult shot of 154 yards that has produced the only hole-in-one in the Gross family. 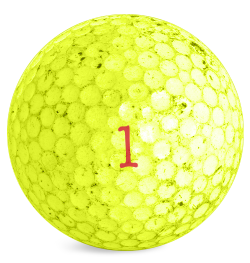 Unfortunately, she hit the hole with an ugly chartreuse ball that sits atop her hole-in-one trophy at home. Ugly is the only word to describe it, but it was the ball that went in, so there it rests in semi-perpetuity. Still, even Sue, who cares much less about golf than I do, treats it as a symbolic arrow towards future triumphs on the course. I know, because every time we play a par 3, she reaches into her bag for a spankin’ new white Titleist, tees it up just so, and swings for another magical shot that will surely top the first — if only because of the color of the ball. She left me in the chartreuse dust long ago and will probably do the same in the future with a white ball. Practice can’t buy you a hole-in-one. Speaking of practice, and mastering a game, Fed Chairwoman Janet Yellen has been at it a long time, as have her predecessors and contemporaries in other central banks. All have mastered the art of market manipulation and no — that’s not an unkind accusation — it’s one in fact that Ms. Yellen and other central bankers would plead guilty to over a cocktail at Jackson Hole or any other get together of Ph.D. economists who have lost their way. With Yellen, there is no right or left hand — no “on the one hand but then on the other” — there are only decades of old orthodoxy that follows the tarnished golden rule of lowering interest rates to elevate asset prices, which in turn could (should) trickle down to the real economy. It was fascinating then to read a lone Fed wolf in wolf’s clothing a week ago on The Wall Street Journal’s op-ed page. Ex-Fed District President Kevin Warsh headlined a think piece titled, “The Federal Reserve Needs New Thinking”. Now despite recent peekaboo ideas advanced by San Francisco Fed President John Williams suggesting a 3% inflation target and a focus on nominal, instead of real GDP growth (using the same old monetary weapons however), Warsh took the Fed and (by proxy) other central banks to task, suggesting that a “numeric change in the inflation target isn’t real reform”. “It serves”, he wrote, “as subterfuge to distract from monetary, regulatory and fiscal errors”. Warsh questioned the Fed’s sincerity in speaking to income inequality while refusing to acknowledge that their polices have unfairly increased asset inequality. He questioned its mantra of data-dependence and its refusal to acknowledge the Yellen/Bernanke/Greenspan “put” in financial markets. He questioned their ability to maintain that “put” while at the same time subordinating inflation targeting and output-gap modeling to it. All three cannot be done at once, he claims, and one day a Piper will be paid, “perhaps even the Fed’s independence” he cautions, as the public is growing increasingly suspicious of this unelected group of bankers — central as they are. The primary problem lies with zero/negative interest rates; that not only do they fail to provide an “easing cushion” should recession come knocking at the door, but they destroy capitalism’s business models. Warsh is a mensch. He’s not smokin’ a Volcker-like cigar I suppose, but he has spoken his mind and risked the calumny of his contemporaries — even those at The Stanford University’s Hoover Institute, where he is a visiting Fellow. What he thinks they should do differently was not well delineated though. I and others however, have for several years now, suggested that the primary problem lies with zero/negative interest rates; that not only do they fail to provide an “easing cushion” should recession come knocking at the door, but they destroy capitalism’s business models — those dependent on a yield curve spread or an interest rate that permits a legitimate return on saving, as opposed to an incentive for spending. They also keep zombie corporations alive and inhibit Schumpeter’s “creative destruction” which many argue is the hallmark of capitalism. Capitalism, almost commonsensically, cannot function well at the zero bound or with a minus sign as a yield. $11 trillion of negative yielding bonds are not assets — they are liabilities. Factor that, Ms. Yellen into your asset price objective. You and your contemporaries have flipped $11 trillion from the left side to the right side of the global balance sheet. In the process, you have deferred long-term pain for the benefit of short-term gain and the hopes that your ancient model renormalizes the economy over the next few years. It likely will not. Japan is the petri dish example for the past 15 years. Other developed market economies since Lehman/2009 are experiencing a similar fungus.